We know you enjoy exploring new destinations in your motorhome, so we have created a tailor-made itinerary just for you. Active motor-homers with a sense of adventure will love this chance to experience the breath-taking scenery of Northern England on this nine-day tour. 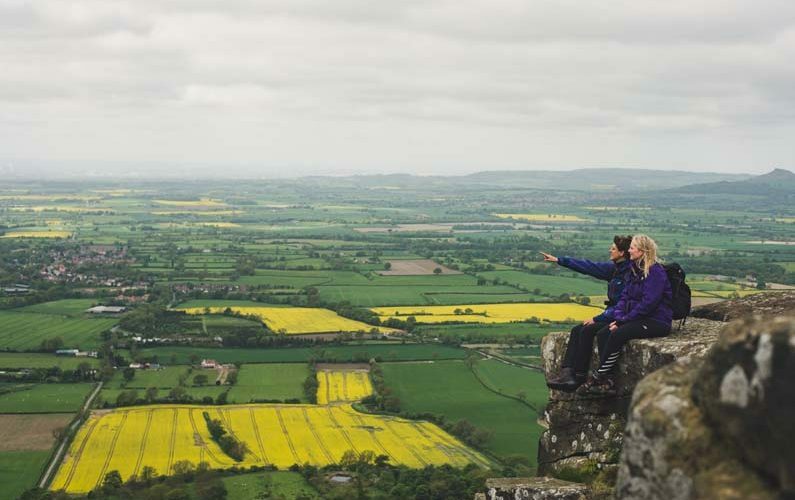 The scenic drives on this epic tour of Northern England are almost as breath-taking as the walks you’ll be following en route and this first section offers a wonderful introduction to the striking landscapes of the North. From Hull ferry port, head north along the A164 to the market town of Beverley and continue north over the chalk hills of the Yorkshire Wolds to Driffield and onwards across the rolling pastureland to the seaside resort of Scarborough. Enjoy an overnight stay at The Camping and Caravanning Club’s Scarborough site on the northern edge of town. Day 2 - Walk a coastal section of the Cleveland Way. Overnight in the classic English seaside resort of Scarborough. Walk a section of the coastal Cleveland Way direct from the Club’s Scarborough site. 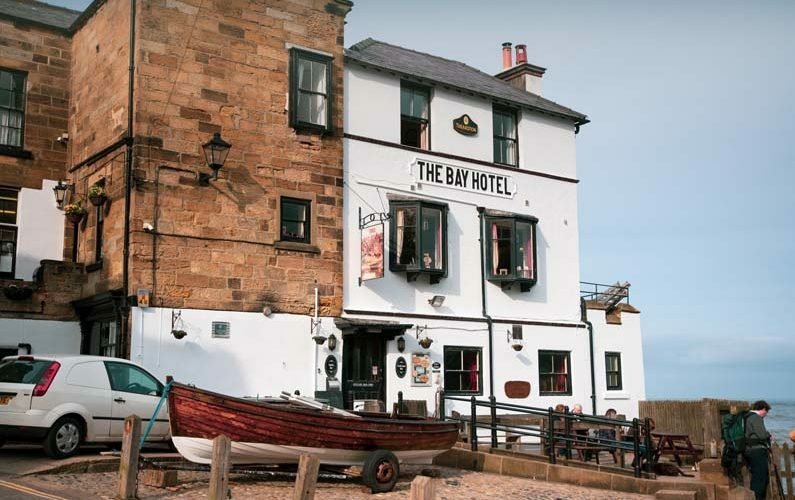 Head south over the rugged headland of castle cliff and onwards past the extensive sands of Cayton Bay to Filey or north along the rugged North Yorkshire coastline to Robin Hood’s Bay – one of the classic sections of this exhilarating National Trail. Day 3 - Drive across the wild uplands of the North York Moors to Barnard Castle. Skirt the northern or southern fringes of the North York Moors National Park, stopping off at Whitby, climbing the ‘mini Matterhorn’ of Roseberry Topping or visiting the picture postcard town of Helmsley and the atmospheric ruins of nearby Rievaulx Abbey before following the River Tees up to the 12th Century fortress town of Barnard Castle. Day 4 - Walk a section of the iconic Pennine Way. Drive across the remote North Pennines AONB to Haltwhistle. 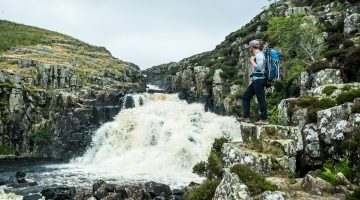 Drive to Middleton in Teesdale and follow the Pennine Way National Trail along the River Tees to the magnificent cascades of Low Force and High Force – two of the most spectacular waterfalls in England. Continue along the spectacular B6277 across the high passes of the North Pennines to Alston and onwards through Geltsdale Forest to The Camping and Caravanning Club Site at Haltwhistle. Day 5 - Walk the spectacular middle section of the Hadrian’s Wall Path. From Haltwhistle, drive out along the B6318 Military Road to The Sill Visitor Centre at Twice Brewed from where you can walk north to Hadrian’s Wall, then along one of the most spectacular stretches of the wall as it snakes over the rugged outcrops above Crag Lough to Housesteads Roman Fort. Return to the Military Road to catch the AD122 bus back to Twice Brewed. Overnight at Haltwhistle Club Site. Day 6 - Drive through the Lake District to Clitheroe in the Ribble Valley. Follow the River Tyne south to Alston, admiring the vistas of the Lakeland Fells from Hartside Café before descending into the Eden Valley. Stop off for lunch at the Rheged Centre just off the M6 and maybe take a short detour west to explore the shores of Ullswater. Return to the M6 for a memorable drive through the mountains to Kirkby Lonsdale before following the A65 and A59 to The Clitheroe Camping and Caravanning Club Site – on the edge of the Forest of Bowland Area of Outstanding Natural Beauty. Day 7 - Enjoy a gentle walk in the Forest of Bowland AONB – home to some of the best local produce in Britain. 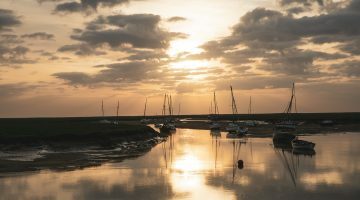 Take a walk direct from the campsite along the River Ribble to the picture postcard village of Waddington or the ancient hamlet of Mitton, with its idyllic riverside pub. Walk into the market town of Clitheroe for a tour of Bowland Brewery nestling under the Norman Castle. Pick up some local delicacies from the town’s bustling market, many independent boutique shops or the impressive food hall. Day 8 - Drive to Hayfield and explore the southern section of the Pennine Way or follow one of the many circular walks in the Peak District National Park. Skirt the eastern edge of the vibrant city of Manchester to reach Hayfield Camping and Caravanning Club Site in the pretty Peak District village of Hayfield. 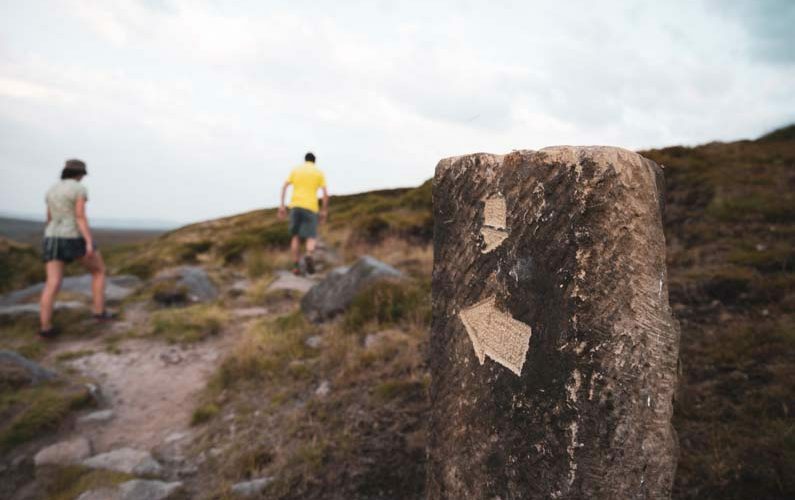 Take a circular walk incorporating the opening section of the Pennine Way along the southwestern edges of Kinder Scout – scene of the 1932 Mass Trespass which paved the way for improved access to the countryside. Day 9 - Return to Hull for the return ferry. Cross the Peak District National Park on the scenic A57 or A6187 routes to Sheffield, from where the M18 and M62 will get you back to Hull in around two hours. All the sites on this itinerary are owned and managed by The Camping and Caravanning Club – a member-led organisation with more than 310,000 members in the UK. The Club ensures the highest standards of accommodation on its extensive network of more than 100 sites covering the whole of the UK. Expect excellent facilities, friendly Holiday Site Managers and a warm welcome on every Club Site. Book your ferry crossings and site pitches online and the Club will take care of the rest for a memorable and carefree holiday! Scarborough Club Site is an ideal base for exploring the Yorkshire Coast. The beach is a short cliff-top walk from the site, whilst the town of Scarborough, which has two sandy bays divided by the castle headland, is just 1.5 miles away from the site. 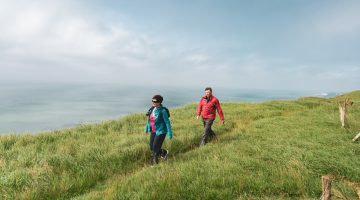 Local walking options include the Cleveland Way National Trail, the North Yorkshire Moors National Park or you can view seabirds such as puffins and gannets at the RSPB nature reserve at Bempton Cliffs. Located on the north eastern edge of the Yorkshire Dales National Park, handy for the attractions of Teesdale and within walking distance of Barnard Castle or Barney as it is known locally, this tree-lined campsite is the perfect place to relax and unwind. If you’re looking for peace and tranquillity or a rural location with plenty of walking and cycling opportunities, Barnard Castle Club Site is for you. Haltwhistle Club Site’s setting in a clearing in Bellister Wood makes it the ideal get-away-from-it-all camping destination. The wood, once part of the Bellister Castle Estate, is now managed by the National Trust and is a haven for wildlife, so you could find yourself sharing your pitch with rabbits and birds, including woodpeckers. This rural Club Site between the Northumberland National Park and North Pennines is surrounded by magnificent walking and cycling country. 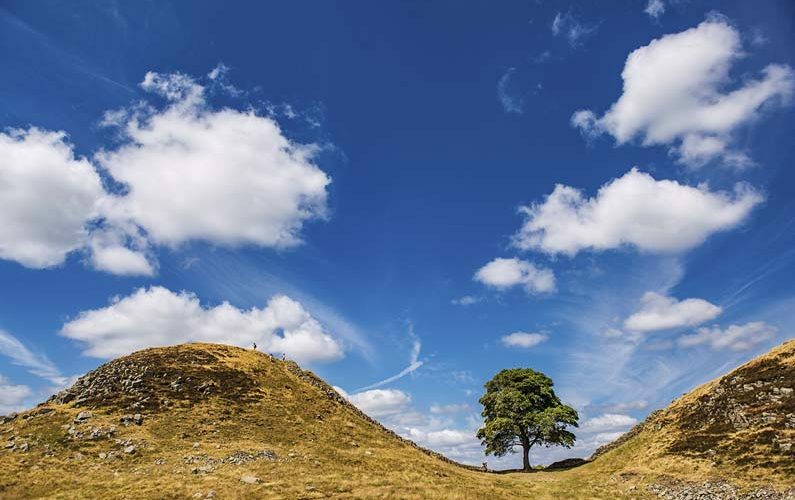 The Haltwhistle Rings – a series of 22 local walks – is one way to take in the local scenery and Hadrian’s Wall, five miles from the campsite, offers picturesque walking opportunities. Situated south of the Forest of Bowland, this campsite is tranquil, peaceful and close enough to the Lancashire coast to make a day trip highly worthwhile. The Club Site has a riverside setting, which provides some lovely walks among nature; you can also ask at reception for information on day permits for fishing. Hayfield Club Site sits at the foot of the Dark Peak area of the Peak District National Park. This is walking country, where you can enjoy anything from a gentle stroll to a more challenging climb. For the latter, a walk up Lantern Pike rewards you with a panoramic view over seven counties. The walk up Kinder Scout from the west side is one of the classic excursions of the Peak District. The walk starts at Bowden Bridge car park and takes around four-and-a-half hours. For more information about The Camping & Caravanning Club and to book their sites view their website. You’ll also find additional accommodation options in the Lake District, North York Moors, Northumberland or the Peak District. Discover the UK with The Camping and Caravanning Club Temporary Overseas Membership from as a little as €24.97 (plus postage when sold in advance). As an overseas visitor to the UK, you will be entitled to a discounted rate on your pitch fees – saving you up to 30 per cent per night on Club Sites and 15 per cent per night on Camping in the Forest sites for three months during your stay. UK roads are generally good, but perhaps not quite as well maintained as European roads – especially in rural areas. Most of the roads included in this itinerary are well-suited to motorhomes, but in some rural areas, larger motorhomes (over 7m in length) may need to consider alternative routes. The walking routes suggested in this itinerary are all accessible to anyone with a reasonable level of fitness and require no technical or specialist mountaineering skills. Rugged walking boots and waterproofs are highly recommended – even in the summer months! Wild camping or free parking is not permitted in the UK, although most rural car parks will accommodate motorhomes during daylight hours. In the towns and cities – some car parks have height restrictions which exclude motorhomes. This itinerary recommends staying at professionally managed Club Sites, which are generally open from mid-March to the end of October. Booking in advance is recommended year-round and is especially encouraged during the Easter, spring and summer holidays. With The Camping & Caravanning Club’s Temporary Overseas Membership, overseas visitors to the UK, are entitled to a discounted rate on pitch fees – saving up to 30 per cent per night on Club Sites and 15 per cent per night on Camping in the Forest sites for three months during your stay. The best times to visit are between May and October – although the roads and the campsites will be much busier during the main summer holidays between July and the end of August. The mountains and coastlines of Northern England are at their absolute best in late May/early June, when migrating birds return to nest on the seacliffs and the wild flowers begin to flower.